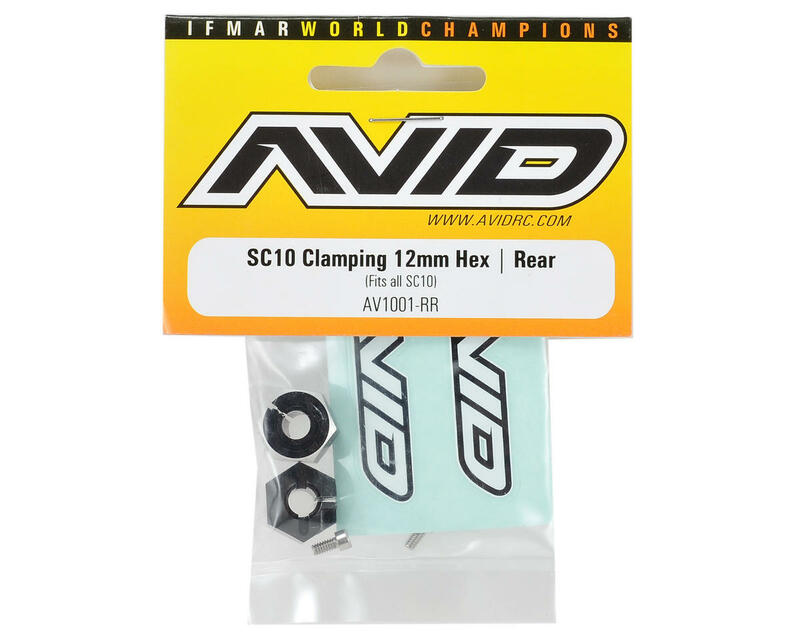 This is an optional Avid RC 12mm Clamping Rear Wheel Hex Set, and is intended for use with the Team Associated SC10 1/10 scale short course truck, as well as the T4 line of stadium trucks wanting to use JConcepts Hex Truck Wheels. Racers can outfit the SC10 in style with AVID black anodized 12mm clamping hex adapters. 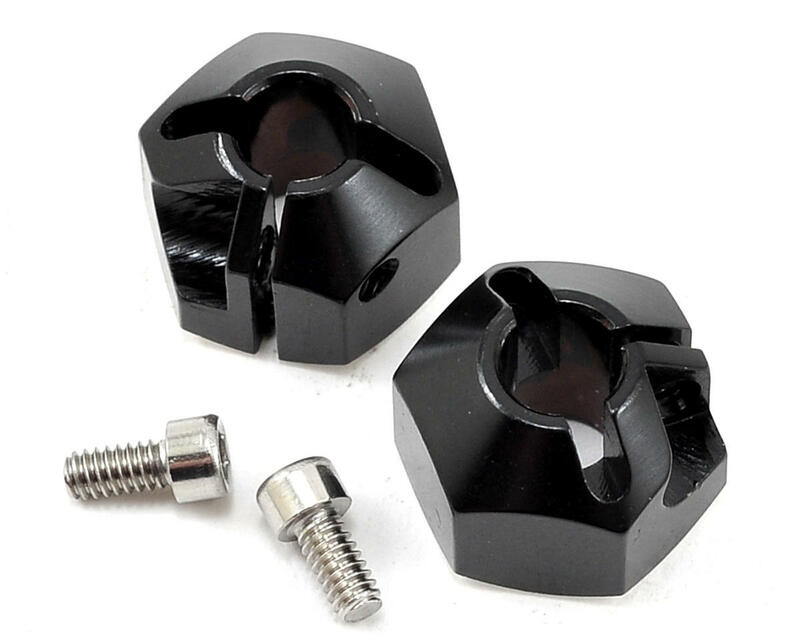 These adapters also work with the newest JConcepts Hex T4.1 wheels front and rear. AVID clamping hexes are made of 6061-T6 aluminum and then machined with a chamfer for easy wheel installation along with the signature machined highlight.